Llangrannog is a small village in which a lot happens, and the village community is one which tries to look after the wellbeing of its members. There are now several organisations and clubs working towards the general welfare of the village or towards specific targets, and it is hoped that this Newsletter will help to highlight some of their ambitions and achievements. After some 60 years, the Welfare Committee is still going strong and in recent years has given birth to two sub-committees, the Fireworks Committee and the Millennium Fund. With Thanks to Kat Dawes for sending us copies of the Minutes. 1. Present: Kat Dawes, Clive Bullock, Paul Dawes, Cynyr Ifan, Gari Jones, Guto Jenkins, Helena Boyesen, Anne-Marie Bollen, Gerry Jones, Adrian Brice, Pob Thomas. 2. Apologies: Kate Reed, Ricky Rowsell, Sioned Jones. 3. Minutes of the meeting on Thursday 13 December 2018 were agreed as correct. Proposed Gari, seconded Paul. 4.1 (4.8) Jane Evans was invited to discuss her commission for a painting for Pete and Jan. We were shown a couple of options and approved a lovely view of the Shop, which Jane proposes to put into a special frame. 4.2 (4.10) Sandy Denny. Louise Burgess came to talk to us about Sandy Denny. Arguably the finest singer songwriter this country has produced, she was the first female songwriter to sign a record deal in her own right. Sandy’s uncle and aunt Les and Irene Jones and their daughter Hilary lived in the area, although it has been hard to exactly where. Louise would like to see a plaque raised in the Memorial Garden, which would commemorate the importance of the village to Sandy, and also encourage visitors to the area, given the surge of interest in her life and work. Suggestions were made for further research e.g. the National Library and Jon MO Jones. It was noted that the Community Council are talking about commemorating Cranogwen. 4.3 (4.1) Defibrillator The box has arrived. Possible locations: the Sianti facing the Beach Hut; a pole by the noticeboard. 4.4 (4.2) Missing streetlight (end of the carpark) and the too-bright streetlights. Ongoing with the Community Council. 4.5 (4.3) Green Flag Award. Ongoing. 4.6 (4.4) Llangrannog merchandise. We can look at a new design and different products once we know how much was sold. Helena will collect remaining goods and monies from the Beach Hut. 4.7 (4.5) Bottle bins and more frequent collection in carpark. To be picked up later in the season. 4.8 (4.6) The rubbish leaflet will include information about dogs on the beach. It will be a high-quality tri-fold with attractive imagery, suitable for posting on noticeboards and in houses. 4.9 (4.7) Benches/Sianti cleanup. Benches are waiting to be sandblasted. 4.10 (4.9) The road up from Pen Rhip (C1159) is due to be resurfaced; work beginning 1 April 18 March. 4.11 (4.11) Disputed area of land by the Ship Inn. There will be a retrospective planning permission application and people will be able to object if they feel the cameras, signage and parking meter are intrusive. 4.12 (4.12) Bica Byw. We will invite Helen Howells to speak at the AGM. We will help with a physical leaflet drop in the area. The next step for Capel Crannog is a survey. 4.13 (4.13) Manorafon decking – ongoing with solicitors. 4.14 (4.14) Jean Darbey. Tanya and Jaques like the idea of a Memorial Garden plaque and will give a decision in the summer. 4.15 (4.15) Invasive species. We plan to tackle this in March when it begins budding. 4.16 (6.2) Height/width/weight restrictions for the access roads to Llangrannog. Ongoing. 4.17 (4.16) The Mari Lwyd went out on 12 January and was a great success. Special mention to all the children who took part in the workshops and the night itself, and Jane for use of the Beach Hut. Next meeting is 14 March, 7.30pm in the Pentre. AGM to be organised for Thursday 4th April. 1. Present: Kat Dawes, Clive Bullock, Paul Dawes, Cynyr Ifan, Gari Jones, Guto Jenkins, Adrian Brice, Kate Reed, Helena Boyesen, Anne-Marie Bollen. 3. Minutes of the meeting on Thursday 8 November 2018 were agreed as correct. Proposed Gari, seconded Paul. 4.1 (4.1) Defibrillator It will cost £480-500 for the defib to be mounted in a box outside. The Community Council will pay for this. Guto will communicate with Julian from Calonnau Cymru. 4.2 (4.2) Missing streetlight (end of the carpark) and the too-bright streetlights. Ongoing with the Community Council; there is an issue with placement of the missing light. The brightness issue will be returned to the Community Council. 4.3 (4.3) Green Flag Award. Ongoing. 4.4 (4.4) Llangrannog merchandise. We can look at a new design for next year and different products, once we have a report on how much was sold and funds raised. 4.5 (4.5) Bottle bins and more frequent collection in carpark. The number to call is on the noticeboard. The more people ring up, the more the Council will take notice of the issue. 4.6 (4.6) The rubbish leaflet is being translated by Philippa Gibson. It will include information about dogs on the beach. We will meet with Community Council members and Andy to discuss this in the New Year. 4.7 (4.7) Benches/Sianti cleanup. Work is ongoing on the benches. 4.8 (4.8) Pete and Jan Dobson leaving gift. Jane y Graig has been chosen to create a painting featuring the Shop. Cost to include framing. This should be done by the end of February. 4.9 (4.9) The road up from Pen Rhip (C1159) will be resurfaced by the end of the financial year. While this is being worked on we could highlight that the drainage around Pen Rhip hairpin needs work. 4.10 (4.10) Memorial garden plaque for Sandy Denny. Research into her connection with the village is ongoing. 4.11 (4.11) Disputed area of land by the Ship Inn. The Ship’s owner sent a letter to the Community Council which we will request to see. There is also Land Registry documentation available. The Community Council has invited Anthony to a meeting; we would like to be represented at this. 4.12 (4.12) Bica Byw. There is a meeting Tuesday 18th December. Helena hand the documentation about previous Capel Crannog studies to Kat. 4.13 (4.13) The decking built over the stream next to Manorafon extends further than halfway. This is with solicitors. 4.14 (4.14) Jean Darbey. Gerry to email Tanya re. having plaque in the Garden. Ongoing. 4.15 (4.15) Invasive species. We plan to tackle this in Feb/March. 4.16 (4.16) Over 60s Christmas Dinner. The dinner was a great success and many people sent their thanks. Jonathan Rees played the fiddle and led carols. Many thanks to Mike and the team. We will send thank-yous. 4.17 (6.1) Mari Lwyd. Jane Arrow proposes reviving this New Year tradition. We are keen to support. We will buy the kit to make a horse’s head, hold a workshop and publicise locally. 12 January. 4.18 (6.2) Pen Rhip landslide. Warning tape has been put up. We will keep an eye on the situation; it may be that it needs proper fencing and signs. The volume of water coming through the drainage pipe caused overspill, but it is working. See 4.9. 6.1 Congratulations to Kate Reed (and Huw) who are expecting a baby. 6.2 The council proposes to set height/width/weight restrictions for all the access roads to Llangrannog. The local businesses and Community Council have had this information and contacted the Council. 3. Minutes of the meeting on Thursday 11 October 2018 were agreed as correct. Proposed Clive, seconded Paul. 4.1 (4.1) Defibrillator It will cost £480-500 for the defib to be mounted in a box outside. Cynyr will ask the Community Council to help with the cost, and if this is a correct estimate. Electricity is required to keep the box from freezing; the pine end of the Council-owned Gents toilets would allow this. 4.2 (4.2) The missing and too-bright streetlights issue. Ongoing with the Community Council. 4.4 (4.4) Llangrannog merchandise. Brynhoffnant Garage could be approached to sell these as well. 4.5 (4.5) Bottle bins and more frequent collection in carpark. Contact the Council early next year. 4.6 (4.6) Andy Gaunt will design the rubbish leaflet once it has been translated. The Community Council can only support this leaflet if we also produce information regarding dogs on the beach. Kat has written this (it has been posted up for the last two years) and will send to Cynyr for Community Council comment. 4.7 (4.7) Benches/Sianti cleanup. Ongoing. 4.8 (4.10) Pete and Jan Dobson leaving gift. Jane y Graig has been chosen to create a painting featuring the Shop. Cost to include framing. This should be done by the end of February. 4.9 (4.11) The road up from Pen Rhip. The Council sent a letter informing us that this road (the C1159) will be resurfaced by the end of the financial year. They also made some comments regarding the resurfacing, which were a reiteration of the letter sent to residents before the work began. 4.10 (4.12) Memorial garden plaque for Sandy Denny. Ongoing. 4.11 (5.1) Disputed area of land by the Ship Inn – this is common land. Ongoing. 4.12 (4.17) Bica Byw. No further information. Helena to find any documentation about previous Capel Crannog studies. 4.13 (5.2) The decking built over the stream next to Manorafon extends further than halfway. This is with solicitors. 4.14 (5.3) Jean Darbey passed away in July. Gerry will email Tanya re. having plaque. Ongoing. 4.15 (6.4) Invasive species. Himalayan Balsam can be pulled and left to die. Japanese Knotweed is best treated in spring via stem injection. Pob has a spraying Licence and can work with five volunteers. We plan to tackle this in Feb/March. 4.16 (6.5) Over 60s Christmas Dinner. 12th December, Pentre Arms. Jonathan Rees will play some carols. 6.1 Mari Lwyd – Jane Arrow proposes reviving this New Year tradition. We are keen to support. Ricky will ask about a horse’s skull. 6.2 Pen Rhip landslide. Warning tape has been put up. We will keep an eye on the situation; it may be that it needs proper fencing and signs. The volume of water coming through the drainage pipe caused overspill, but it is working. 6.3 Congratulations to Adrian Brice, soon to become a grandfather. Meeting closed 9.05pm. Next meeting is 13 December, 7.30pm in the Pentre, to be followed by a few Christmas drinks in the Pentre and Ship. 3. Minutes of the meeting on Thursday 13 September 2018 were agreed as correct. Proposed Clive, seconded Helena. 4.1 (4.1) Defibrillator It will cost £480-500 for the defib to be mounted in a box outside. We will ask the Community Council to help with the cost. Electricity is required to keep the box from freezing; the pine end of the Council-owned Gents toilets would allow this. 4.2 (4.2) The streetlight issue. The Community Council are in communication but things are being passed between organisations. The new LED streetlights are very bright and affect some residents’ sleep. It was proposed that this be brought up at the next Community Council meeting. 4.6 (4.6) Andy Gaunt will design the rubbish leaflet once it has been translated. It was suggested in the Community Council that more information could go on the leaflets e.g. regarding dogs on the beach. It has been previously discussed and agreed (at both the Welfare and CC) to keep this leaflet about rubbish and recycling only, to avoid over-complication and too much text. Write to Sian Gwyn reiterating this. 4.7 (4.7) Benches/Sianti cleanup. Helena has made a list of benches in the area. 4.8 (4.8) Sewage on the main beach and Cilborth. Pob has checked and there have been no failures with testing. 4.10 (4.10) Pete and Jan Dobson leaving gift. Kat will ask Barry Arnold about creating artwork. Rebecca de Winter has also expressed an interest. Ongoing. 4.11 (4.11) The road up from Pen Rhip. Kat has sent a letter to the Council and will create a template for other residents, available online. Cynyr will bring it up at the Community Council. Kat has also sent a letter to the Council regarding the resurfacing work which created a mess early in the summer. 4.12 (4.12) Memorial garden plaque for Sandy Denny. Louise Burgess is finding out more. 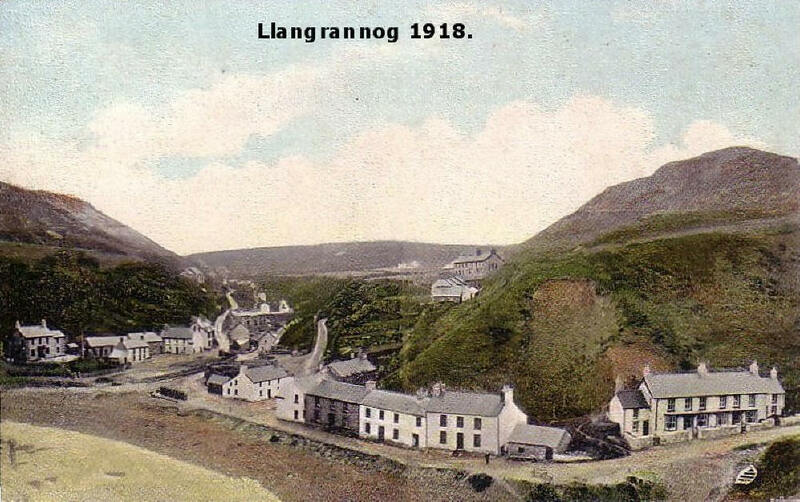 We could create a tour of these places as there are many other well-known people whose connection with Llangrannog could be celebrated. 4.15 (5.1) The Planning Department have been down to look at the disputed area of land by the Ship Inn and have replied to John Page. If this is common land, we should be able to remove the unsightly mess that has been left there. The land could then be used for the benefit of the whole village. We will invite Faith/Paul to show us the Land Registry information they have collected. Ongoing. 4.17 (5.1) Bica Byw. A £70,000 grant from Cynnal y Cardi has been awarded. Projects should be starting in October. Initially, the Welfare was the lead organisation for the project with Gwersyll as a partner. It became clear it would be difficult to administer Bica Byw via the Welfare so the Gwersyll have taken over as they have the staff and knowledge to deal with complex finance and volunteer issues. We will still be involved as much as possible. 1. Community consultation: find out what the community wants to do with certain assets such as Capel Crannog, what everyone feels would best benefit Llangrannog, and to undertake a skills audit of local artists etc. There will be money to develop certain ideas. 2. Augmented reality app. A company from North Wales has put together an impressive bid. The idea is similar to Pokemon Go – a walk around the area bringing stories to life via 7-8 characters who will talk to you about Carreg Bica, ship-building etc. 3. Trialing things like clubs, activities etc. to generate revenue for the area. There will be a steering committee, and Kat volunteered to be part of it on behalf of the Welfare. There will be a community get-together/open day to share ideas. At the end of the project we will have a report saying what to do with Capel Crannog, and how to move forward with other ideas. The grant finishes June/July. Match-funding: the Pentre, the Gwersyll and other local businesses have contributed. It was noted that a feasibility study of the Capel Crannog site was done with the previous owner of the Gwersyll. Local schools were involved, and a questionnaire was sent around. The general reply was that a versatile community space for exhibitions, maritime history, local information, concerts etc. would be welcomed. The vestry would be a meeting space for local clubs, organisations, parties, band practice etc. Lowri agreed to send a structural engineer up to asses the site as soon as possible. 4.18 (5.2) Concerns about the decking being built over the stream next to Manorafon extending too far over the stream, and where the hot tub drains to. We will wait until Ian ap Dewi/Cynyr can report back. 4.20 (5.4) Cones outside properties in the village are creating an eyesore. This is an ongoing problem which is not easily sorted. Damaged and rogue cones will be removed. 4.21 (6.2) Do not feed the seagulls. We could ask the lifeguards to announce this twice a day. The food outlets could be asked to display a sign to remind people – we can design/source these for them and hand them out. This will be taken up closer to the season. 4.22 (6.3) Cardi Bach Winter service has been decided – Friday and Saturday. 4.23 (6.4) Invasive species. We need another session treating Himalayan Balsam and Japanese Knotweed. We will discuss this when Pob is in a meeting. 4.24 (6.5) Over 60s Christmas Dinner. 12th December, Pentre Arms. List to be sent around. Invitations and list-checking next meeting. It was discussed about widening the boundaries for this event so we can invite more people, and allowing guests/companions to attend for half price. 6.1 Faith Saunders has had a heart operation. We will send a card/flowers from the Welfare. 6.2 There will be a Halloween procession/party with Sea & Slate and the Beach Hut on 31 October 5.30pm. Meeting closed 9.05pm. Next meeting is 8 November, 7.30pm in the Ship. 1. Present: Kat Dawes, Helena Boyesen, Clive Bullock, Cynyr Ifan, Guto Jenkins, Anne-Marie Bollen, Ricky Rowsell, Adrian Brice, Gari Pwyll. 4.1 (4.1) Defibrillator It would cost £320 for the defib to be mounted in a box outside. We did not win any funding from the Welsh Water Community Fund. We will pay for this from Welfare funds. Guto will get in touch with Calonnau Cymru (Julian) to arrange this. Location – we are not sure if we need an electrical connection. The public toilets (Council owned) or the Sianti (Welsh Water owned; would need to be facing inwards) could work. 4.2 (4.2) The streetlight issue. Ongoing with the Community Council. The new LED streetlights are very bright and affect some residents’ sleep. It was proposed that this be brought up at the next Community Council meeting. 4.3 (4.3) Green Flag Award. Application is in progress. 4.4 (4.4) Llangrannog merchandise. Enamel mugs and Llangrannog bags have been selling well in Sea & Slate Gallery, at Gŵyl Nôl a M’lan, in Siop Glynafon, the Beach Hut and the Pentre. Many thanks for everyone’s efforts, especially Jane. Helena is collecting monies and keeping tally. Brynhoffnant Garage could be approached to sell as well. 4.5 (4.5) Bottle bins. Pob will speak to someone at the Council about domestic rubbish left by the bin. We could do with a more frequent collection and/or another bin. 4.6 (4.6) The rubbish leaflet has been drafted and sent to relevant parties for comment/checking. Andy Gaunt will design the leaflet once it has been translated. 4.7 (4.7) Millennium Garden grant award. We got the grant (£2,500) and Roy Tarbutt has purchased new tools, a hedge cutter, scrub remover, new seats (made from recycled silage wrap) and hand tools. We also now have a secure lock-up for the lawnmower etc. We could do with renovating, moving and using the benches available to us. We need to take a look at the benches we’ve got and which ones need work. We could also spruce up the Sianti. Springtime would be ideal for this. 4.8 (4.8) Sewage on the main beach and Cilborth. Cynyr will ask Gwyn James if there is any further news. 4.10 (4.10) Pete and Jan Dobson leaving gift. Guto will ask Barry Arnold about creating artwork. Rebecca de Winter has also expressed an interest. Ongoing. 4.11 (4.11) The road up from Pen Rhip has been patched up quite a lot, but needs more substantial work. The more individual complaints the Council receives, the more likely it is to do something about it. Kat to publicise efforts and send a letter to the Council. Cynyr will bring it up at the Community Council. The resurfacing work done just before the summer (during very hot weather) caused a lot of problems. Loose chippings and tar ruined flooring in the local businesses, stuck to people and animals and melted, leaving an often uneven surface. We will write a letter expressing our concern at these issues. Copy to the Community Council. 4.13 (4.13) Charity walker. A donation was sent. 4.14 (5.4) Gŵyl Nôl a M’lan 6-7 July. This tenth anniversary event was a great success. 4.15 (5.1) John Page’s letter re. the Ship Inn’s possible violation of planning restrictions. The Planning Department have been down and have replied to John Page. The owner of the Ship has commandeered the area under the gable end, the ownership of which is disputed. If this is common land, we should be able to remove the unsightly mess that has been left there. The land could then be used for the benefit of the whole village. We will invite Faith/Paul to show us the Land Registry information they have collected. 4.16 (5.0) Newsletter. Kat is looking into translation. No reply from the Welsh Commissioner so far. 4.17 (5.1) Bica Byw. A £70,000 grant from Cynnal y Cardi has been awarded. The Gwersyll are now leading the project because they have the staff time and expertise, offered by Lowri. Projects should be starting in October. We will still be involved as much as possible. The next step is getting prices and holding a public event. We will invite Lowri/Carys to come to the next meeting to update us. 4.18 (5.2) Concerns about the decking being built over the stream next to Manorafon extending too far over the stream, and where the hot tub drains to. Helena will draft a letter to explain village concerns. 4.19 (5.3) Jean Darbey passed away in July. 4.20 (5.4) Cones outside properties in the village are creating an eyesore. Research in other Welsh towns shows that different-coloured cones/boards would be unlikely to work (or remain where put). This is an ongoing problem which is not easily sorted. 6.1 Rob Harries (Wales Online and Carmarthen Journal) would like to write an article about how the community continues to thrive outside of the holiday season. Kat will reply to him. 6.2 Do not feed the seagulls. We could ask the lifeguards to announce this twice a day. The food outlets could be asked to display a sign to remind people – we can design/source these for them and hand them out. This will be taken up closer to the season. 6.3 Cardi Bach Winter service Saturday/Sunday or Friday/Saturday? Richards Brothers are asking for opinions. Post on Llangrannog Life. 6.4 There is no Fireworks Night 2018. We will post an announcement on behalf of ourselves and the Fireworks Committee. 6.3 Invasive species. We need another session treating Himalayan Balsam and Japanese Knotweed. We will discuss this when Pob is in a meeting. 6.4 Over 60s Christmas Lunch to be discussed next meeting. Possible dates 5th or 12th December to suit the Pentre Arms. Meeting closed 9.13pm. Next meeting is 11 October, 7.30pm in the Ship. 3. Minutes of the meeting on Thursday 10 May 2018. The minutes were approved. Proposed Clive, seconded Gerry. 4.1 (4.1) Defibrillator It would cost £320 for the defib to be mounted in a box outside. Kat has applied for some funding via the Welsh Water Community Fund for this. 4.2 (4.2) The streetlight issue. Ongoing with the Community Council. 4.3 (4.4) Green Flag Award. Cynyr will apply for the Garden. Ongoing. 4.4 (4.5) Llangrannog merchandise. Enamel mugs and screw-top bottles will arrive soon. Jane has paid for the first installment as her contribution to the Welfare this year. 4.5 (4.6) Bottle bins. People are still leaving domestic rubbish by the bottle bins. Pob will speak to someone at the Council and report back. 4.6 (4.8) The rubbish leaflet has been drafted and sent to relevant parties for comment/checking. 4.7 (4.10) Millennium Garden grant award. We should hear back from the awards council soon. 4.8 (6.2) In the first week in June there was sewage on the main beach and Cilborth. A ‘raft’ of sewage was reported below the caravan park between Aberporth and Tresaith at this time. Cynyr will raise this with the Community Council and contact Gwyn James. 4.10 (6.1) Pete and Jan Dobson leaving gift. Guto will ask Barry Arnold about creating artwork. Rebecca de Winter has also expressed an interest. Ongoing. 4.11 (6.2) The road up from Pen Rhip is now in a bad state and needs re-doing from scratch. The stretch from Smuggler’s Rest up 100m is foundationally unsafe. The more individual complaints the Council receives, the more likely it is to do something about it. Kat to publicise efforts and send a letter to the Council. Cynyr will bring it up at the Community Council. 5.2 Memorial garden plaque for Sandy Denny. It would be good to know where Sandy stayed/wrote, and possibly mount a plaque there. 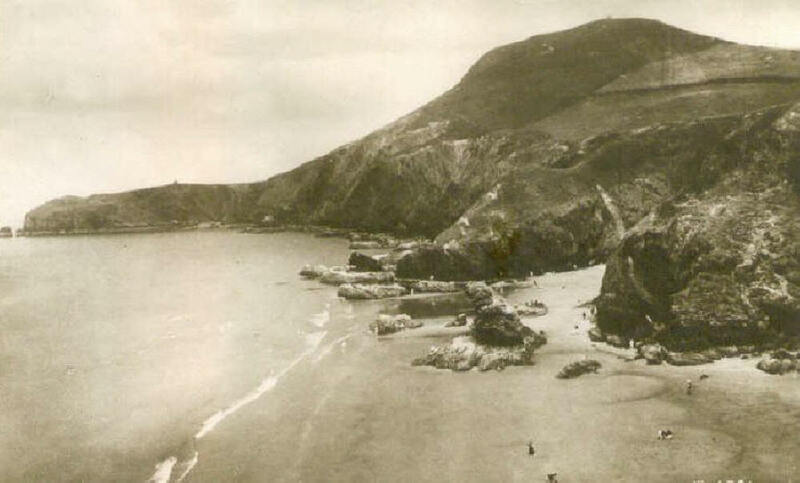 We could create a tour of these places as there are many other well-known people whose connection with Llangrannog could be celebrated. 5.3 Charity walker. Clive will send a donation from the Committee. 5.4 Gŵyl Nôl a M’lan 6-7 July. We will run a stall rather than a duck race and sell the maritime history postcards, the new mugs and bottles and Songs from the Ship CDs. 5.1 John Page has written a letter re. the Ship Inn’s parking restrictions and cameras possible violation of planning restrictions. The issue extends to other CCTV, bollards etc. which are setting an unfriendly tone in places. · Send a letter from Welfare to the Council re. all the cameras etc., backing up John’s concerns and asking for a copy of the planning permission. · Invite Anthony (Ship owner) to a meeting. Face-to-face contact, where possible, with the individuals concerned, will present our concerns without being antagonistic. A £70,000 grant from Cynnal y Cardi has been awarded to the project. · Employ a community animator – explore the village, demographics. · Feasibility study of Capel Crannog – needs, ideas, a view to reconstructing the buildings. · Digital resource – smartphone app with walks, immersive game for children incorporating local history and heritage, tourist information, place names. · Community person to mentor people to carry on the programs. Who will look after the accounts for the project – someone employed by the Gwersyll? Could we second someone? We could reapply through the Gwersyll so they can manage the money, as Lowri has offered staff time for this. 6.3 Concerns about the decking being built over the stream next to Manorafon extending too far over the stream. The struts are too low and will possibly catch material when the water is high. Cynyr is following this up as it extends towards his land. 6.4 Jean Darbey is in Glangwili after a heart attack. 6.5 Cones outside properties in the village are creating an eyesore. The Welfare could replace the cones for the bus turning point with signs or lettering of some sort which looks more attractive. 1. Present: Guto Jenkins, Kat Dawes, Pob Thomas, Clive Bullock, Cynyr Ifan, Sioned Jones, Adrian Brice, Anne-Marie Evans. 2. Apologies: Ricky Rowsell, Helena Boyesen, Paul Dawes, Gerry Jones, Kate Brice. 3. Minutes of the meeting on Thursday 1 March 2018. The minutes were approved. Proposed Clive, seconded Guto. 4.1 (4.1) Defibrillator It would cost £320 for the defib to be mounted in a box outside. Kat will apply for some funding via the Welsh Water Community Fund for this. We would then need to make sure it was registered with the ambulance service. New pads have been bought and we have been sent a new training DVD. 4.4 (4.5) Llangrannog merchandise. The designs and legend are ready and enamel mugs and screw-top bottles have been ordered. Clive will reimburse Jane for the monies paid so far. We will discuss having a stall at Gŵyl Nôl a M’lan and other outlets for them at the next meeting. 4.6 (4.8) Dog poo, fly-tipping, rubbish etc. The rubbish leaflet has been drafted and sent to relevant parties for comment/checking. Dog poo (bagged) has been left in a grit box on part of the Urdd Camp land used by the children. People are also leaving bags in green food bins. 4.8 (6.2) The sewer pipe is appearing on the beach at certain low tides. Dŵr Cymru said it should be 10-20 feet underground and has probably bent, which it is designed to do to a certain extent. They are monitoring it carefully. The water is fully treated. 4.9 (5.1) ‘Postman’s Rest’ – the planning application has been rejected. 4.10 (6.1) Pete and Jan Dobson Guto will ask Barry Arnold about creating artwork. Rebecca de Winter has also expressed an interest. 4.11 (6.2) The road up from Pen Rhip is now in a bad state and needs re-doing from scratch. The more individual complaints the Council receives, the more likely it is to do something about it. Kat to publicise efforts and send a letter to the Council. 5.1 First Aid course in the Gwersyll – 5 June 9am-3.45pm Level 3 Emergency First Aid at Work. 5.2 Louise Burgess proposed a plaque in the memorial garden for Sandy Denny, who wrote songs about her childhood holidays spent in the village. Funding for this and other plaques is an issue; the number of possible plaques is another. We will consider this and discuss further. 5.3 A lady called Natalia whose child died young has been walking around the UK and has raised over £200,000 for an intensive care unit in Bristol. She recently stayed at Cynyr’s on her latest 1,000 miles walk. It was agreed that the Welfare Committee could contribute to the fund. 5.4 Gŵyl Nôl a M’lan 6-7 July. We will run a stall rather than a duck race and sell the maritime history postcards, the new mugs and bottles and Songs from the Ship CDs. To be discussed further in June. Next meeting is 14 June, 7.30pm in the Beach Hut. 1. Present: Gari Pwyll, Adrian Brice, Gerry Jones, Guto Jenkins, Kate Brice, Kat Dawes. 2. Apologies: Paul Dawes, Ricky Rowsell, Cynyr Ifan, Pob Thomas. 3. Minutes of the meeting on Thursday 11 January 2018. The minutes were approved. 4.1 (4.1) Defibrillator training. Confirmed for 19 February 7.30pm at the Urdd Leisure Centre. We will make a £25 donation to Calonnau Cymru. The training takes 1.5-2 hours and is for up to 30 people. Guto will organise a list. If we take up our machine it can be checked. 4.3 (4.4) ‘Driftwood Cottage’ letter sent with mention that the original name of the house is Rhos Hawen. 4.4 (4.5) Green Flag Award. Cynyr will apply for Llangrannog Garden. Ongoing. 4.5 (4.6) Llangrannog merchandise. Ongoing. 4.6 (4.7) Llangrannog Life Facebook page. Cynyr wrote to Ruth and received a positive reply. We have researched options for moderation of Facebook pages and will invite Ruth to chat to the Committee. 4.7 (6.1) Bottle bins in the top carpark and Urdd Camp are overflowing, and people are leaving domestic rubbish there despite Clive’s note. Kat added another notice with the number to call at the Council if the bin is full. We will keep an eye on the situation. See also 4.10. 4.8 (6.3) Plastic Free Llangrannog. People and businesses in Llangrannog already do a lot. There is a group on Facebook to encourage even more work along this line. 4.9 (6.4) Invite Ben Lake to the AGM 12 April in the Beach Hut. 4.10 (6.5) Dog poo, fly-tipping, rubbish etc. Kat will dig out any information that Ann/Martin created around this topic, which could be revised for this year’s summer season. 4.11 (6.6) Thanks will once again be offered to Mickey Beechey and others who helped erect the Christmas tree on the front. Thanks to Jane for providing the electricity for the lights. 5.1 Roy Tarbutt wrote re. the condition of the furniture in the Millennium Garden. He would like to apply for an Awards For All lottery grant; he will return with a draft application and some quotes for new benches and garden maintenance tools. All in agreement. 6.1 Jean Darbey has returned from a stay in hospital via Henllan care home, but she is frail. We are unsure of the situation with her family and any nursing care she is or isn’t receiving. Gerry will assess the situation further, keep a log and contact Social Services. Committee members expressed a wish to help wherever possible. 6.2 The sewer pipe is appearing on the beach at certain low tides. The Community Council are following this issue up. Next meeting Thursday 1 March, 7.30pm in the Pentre Arms. 1. Present: Cynyr Ifan, Gari Pwyll, Adrian Brice, Gerry Jones, Guto Jenkins, Clive Bullock, Ricky Rowsell, Kate Brice. 3. Minutes of the meeting on Thursday 14 December 2017. The minutes were approved. 4.1 (4.1) Defibrillator training. To be confirmed for 12, 19 or 26th February. 4.2 (4.2) The streetlight issue. Ongoing. 4.3 (4.4) ‘Driftwood Cottage’. Ongoing. 4.4 (4.5) Ambulance response times. We had a positive response from Ben Lake which strengthens the case for better cover in the area. 4.5 (4.7) Green Flag Award. Cynyr will apply for Llangrannog Garden. Ongoing. 4.6 (4.8) Llangrannog merchandise. Ongoing. 4.7 (4.9) Llangrannog Life Facebook page. Cynyr wrote to Ruth and received a positive reply. We will look at the options that are available to page admins to monitor content for appropriateness and return to Ruth with suggestions. Ongoing. 6.1 Bottle bins in the top carpark and Urdd Camp are overflowing, and people are leaving domestic rubbish there. Clive has put a notice on the board to ask people not to do this, as the council will not collect the rubbish and may remove the bins if abuse continues. 6.2 Ron Manley died. A card of condolence will be sent. 6.4 Invite Ben Lake or Elin Jones to the AGM in April. 6.5 Dog poo, fly-tipping, rubbish etc. Leaflets to advise. 6.6 Thanks will once again be offered to Mickey Beechey and others who helped erect the Christmas tree on the front. Thanks to Jane for providing the electricity for the lights. We need to consider the positioning of the tree next year as the council had a problem with the cable running across the street. This will be picked up later in the year. Next meeting Thursday 8th February, 7.30pm in THE SHIP. 3. Minutes of the meeting on Thursday 16 November 2017. The minutes were approved; proposed Clive, seconded Gari. 4.1 (4.2) Defibrillator training. 22 January TBC. 4.2 (4.3) The streetlight issue. This was brought up at the Community Council December meeting. 4.3 (4.4) Village collection box. Complete. Thanks to Paul and Mickey. 4.4 (4.6) ‘Driftwood Cottage’. Ongoing. 4.5 (4.7) Ambulance response times. Cynyr has emailed the local MP and Elin Jones AM to put our concerns on record. 4.6 (4.8) Christmas Dinner. The dinner was attended by 17 people and greatly enjoyed. The possibilities of extending the boundary to include more people, inviting under-60s (on a donation basis) and getting some children involved (carol singing) was discussed and will be picked up next autumn. 4.7 (5.1) Green Flag Award. Cynyr will apply for Llangrannog Garden. 4.8 (6.1) Llangrannog merchandise. Ongoing. 4.9 (6.2) Llangrannog Life Facebook page. Cynyr wrote to Ruth and received a positive reply. We will look at the options that are available to page admins to monitor content for appropriateness and return to Ruth with suggestions. 6.1 Nôl a M’lan will be on 6th and 7th July 2018. 10th anniversary year. 6.2 Bica Byw. A proposed mobile phone app and other initiatives which Carys Ifan is looking into funding for. The Committee offered its support for an excellent idea to promote the village and help visitors. Next meeting Thursday 11th January, 7.30pm. 3. Minutes of the meeting on Thursday 12 October 2017. The minutes were approved. 4.2 (4.3) Defibrillator training. To be re-arranged. 4.3 (4.4) The streetlight issue. Still no news. 4.4 (4.6) Village collection box. Fix in the Bus Shelter. 4.5 (4.7) Sponsored Walk. This will be discussed in spring. 4.6 (6.3) ‘Driftwood Cottage’. A note will be sent to ‘Driftwood Cottage’ to see if the situation re. the name can be resolved. 4.7 (6.5) Ambulance response times. Cynyr will email the local MP to put our concerns on record. 4.8 Christmas Dinner. Wednesday 13th December. Kat to distribute against the revised list. All to attend if possible. 4.9 Fireworks. Event cancelled due to weather. Weather conditions were clearly not going to be to acceptable. The fireworks and timber were subsequently disposed of in a safe manner but not as a ‘display’ as this would have required management, licences etc. 5.1 Green Flag Award. Cynyr to apply for Llangrannog Garden. 5.2 Letter of thanks concerning the hedge cutting from the Community Council who will take the matter up with the County Council. 6.1 Suggestion from Jane Arrow that the Welfare Committee produce a ‘bag –for-life’, T-shirts etc. with a map of the Llangrannog area for sale. Pob to find out about costs for different items. 6.2 Llangrannog Life Facebook page. Kat to draft something to Ruth (new page admin) to express our concerns. Next meeting Thursday 14th December, 7.30pm. Everyone has the ability to sing, and the right to sing: they provide the opportunity. To join Llangrannog Community Choir you don't need to read music or have an audition. They work with all voices and the repertoire (drawn from classical ,folk and world music). These are essential to the social well-being of the village, and they far more than just fulfil their various commercial roles. The Pentre Arms offers an after-match venue for the various village football teams, and the pub runs pool and darts teams. More details about the football teams can be found elsewhere in this Newsletter. The two cafe's play an important part in the social life of the village. The Beach Hut has hosted several events for the Welfare Committee, including an extremely successful fund raiser for Macmillan Cancer Care. Recently they have started a very lively Friday morning coffee club - see elsewhere in this News letter for details. On the other side of the stream, the Patio Cafe is also a popular meeting place for locals as well as visitors, and has hosted a series of successful Art Exhibitions, which it is hoped will continue. The Village Shop stays open throughout the quiet winter months as well as during the hectic holiday season, a tremendous service to the community. Messages are left at the shop, holiday-makers collect their keys from there, money is raised for local and national charities, and in fact the shop is very much at the hub of the community. The Football Club are having another successful season, with the first team hoping to retain and win further honours in cup and league competitions. The second team and Ladies team are doing well, with the latter hoping to win trophies by the end of the season. The Mini Minors have a full programme ahead of them and are playing with great enthusiasm. Recently the men have formed an over-40s team, and managed to narrowly beat the Ladies in a charity match over the Christmas period. Friday mornings have taken on a new lease of life at the Beach Hut over the winter. Regular Coffee Morning give the local people the opportunity to get together, enjoy a coffee and try their hand at a range of activities.... From arts and Crafts, to music and cookery, each week they attempt, under the guidance of group members to try something new! As one of the three churches in the combined group, with Penbryn and Llandisiliogogo. Services are held on the First and Third Sunday of the month. A fifth Sunday Service is on a rota or sometimes at Pontgarreg Hall or Caerwedros Hall. Syr Ifan Leisure Centre: The new centre is home to several clubs throughout the year, and we hope that the Fitness Suite will open shortly. Ski Slope: The ski slope is open to the public every Monday to Thursday from 5.00 till 9.00 and on Sundays from 2.00 till 5.00pm. Swimming: The pool is open to the public every Thursday from 5.00 till 6.30 pm and 6.30 till 8.00pm., as well as on Monday, Wednesday and Friday mornings from 9.00 to 10.30pm. Parties and Meetings: They offer special packages for parties and meetings. At the moment the Centre is home to an Arts course. The club has had an eventful year, having had a number of fundraising activities to pay for a new tractor, its maintenance, insurance, etc. A beach barbecue took place on a couple of occasions and a few fishing competitions were arranged - with thanks to the local companies that helped sponsor these events. The fishing competitions provided entertainment value if nothing else! The club committee meets on the last Sunday of every month in the Pentre Arms at 1400 hours. Anyone interested in joining the club or using the slipway please come along to the meetings for further information. A group where Welsh learners of all levels can meet and practice their Welsh with supportive Welsh speakers in an informal atmosphere. They meet on the first and third Wednesday of every month at 7.30 in the Ship. A warm welcome to learners and Welsh speakers to join at any time. A campaigning group for the Welsh Language which meets in the Pentre Arms at least once a month. Merched y Wawr meets once or twice a month between September and May in Pontgarreg Memorial Hall. As well as meetings with invited speakers. All activities are through the medium of Welsh. A warm welcome to new members. The Women's Institute meets on the first and third Thursday of every month at 7.30pm, in Pontgarreg Memorial Hall, generally with an invited speaker once a month. New members are very welcome. This group meets every Tuesday afternoon from 2pm onwards in Pontgarreg Memorial Hall (except during school half terms and some dates during Summer holiday periods), and plays occasional friendly matches with other groups. New members are welcome. A club for enthusiastic riders, for fun and social activities connected with horses. Weekly rallies in the Llangrannog area.